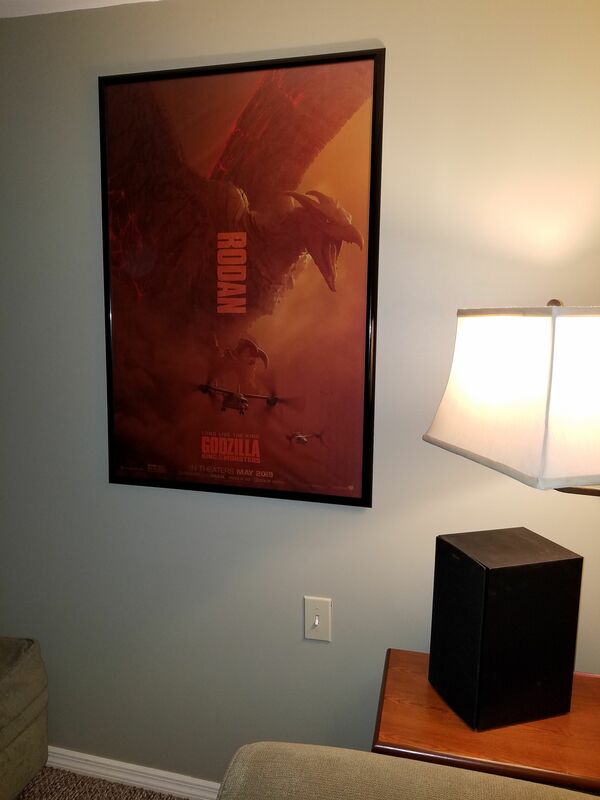 Re: What Toho Books, Posters, Misc did you just buy? Godzilla21 wrote: Thanks man. How long ago did you get yours? At least ten years ago. I forget how I came across it, but I recall paying around $90 for what was a near-unread copy. Very nice grab, G21. That's definitely one of the grails. UltramanGoji wrote: Very nice grab, G21. That's definitely one of the grails. I spoke to Ed G at G Fest a few years ago. He said he thinks only 500-1000 were made. So it's a very small number that are out there. I have heard the book is somewhat dated now but I look forward to reading it. I hope one day Ed can re-release it later on down the line. Even if it's outdated, it's still a piece of western kaju fandom history and deserves to be seen by all who are interested. Maybe an online PDF version? Anyway, I just picked up the Haruo Nakajima Monster Photobook from a US seller on eBay for less than $30. Very excited to check it out! Picked up this silk print 27"x 40" poster up on ebay for $15 total. Love this teaser poster as soon as I first saw it. 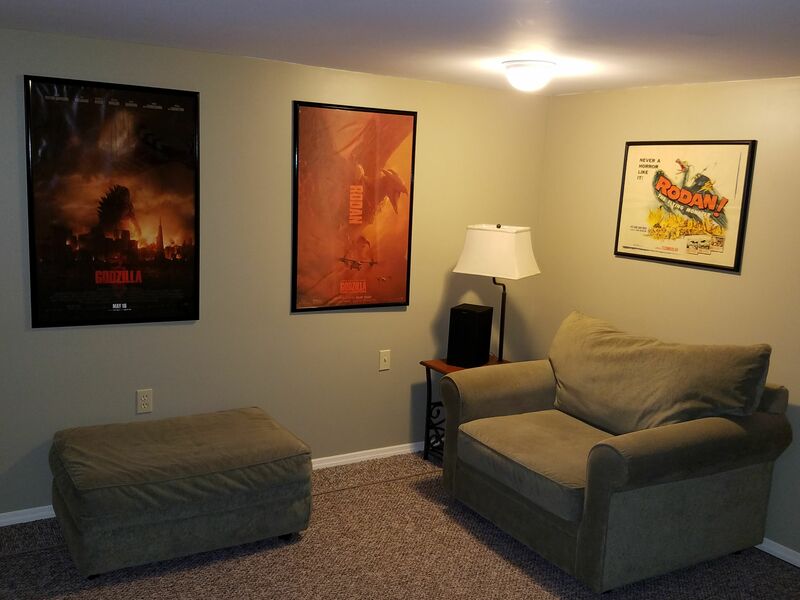 All framed up in my movie room as of today. ^That is so awesome! I'd love to get all the kaiju, if possible. Very beautiful book. I managed to get two. I got both of them when Nakajima came to Dallas for a convention. I got one autographed and I bought another one to read without worrying about damaging the autographed one. The Nakajima book came in today, unfortunately it reeks of tobacco so I only managed to skim through a few pages or so before I put it in a ziploc with a dryer sheet to try and get rid of the smell. What I saw was breathtaking, so many shots that I've never seen before and more than a few I'm certain haven't left this book. It's so amazing to see the Toho soundstage in all its glory back in the 50's and 60's. I'm gonna try and track down more books in this series, I know there's a Keizo Murase book that goes for a hefty penny. UltramanGoji wrote: The Nakajima book came in today, unfortunately it reeks of tobacco so I only managed to skim through a few pages or so before I put it in a ziploc with a dryer sheet to try and get rid of the smell. I hate when books come in smelling like tobacco. Did the seller mention that?